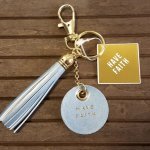 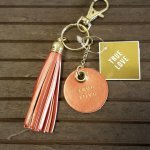 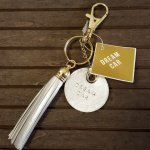 No more worrying about losing your keys - because the ultimate tassel keychain for stylish dreamers has arrived! 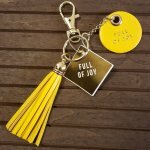 This colorful tassel keychain reminds us to be "full of joy" in our daily lives. 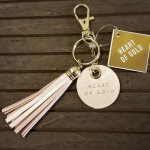 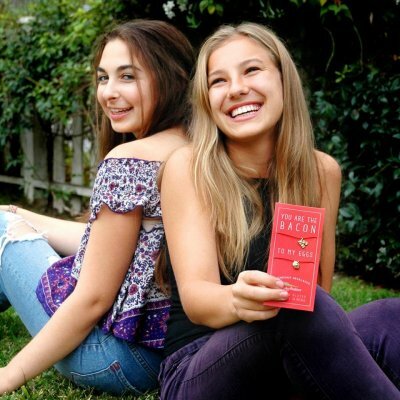 Each letter is embossed in pretty metallic gold and includes a lobster clasp and split-ring. 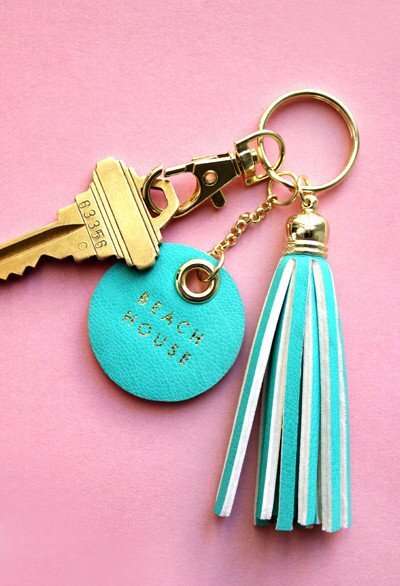 So many possibilities!